Reliance plans to raise funds through bonds and loans even as its total debt trebled in the last five years. 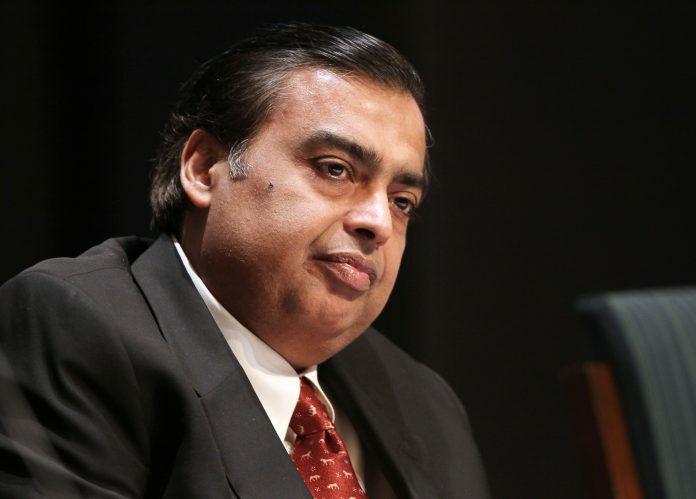 Reliance Industries Ltd, India’s second-largest company by market value, plans to raise about Rs 40,000 crore ($5.8 billion) in fresh debt this financial year as it expands its consumer businesses, according to people familiar with the matter. The billionaire Mukesh Ambani-led company will raise funds through loans and bonds, mostly in the Indian currency, the people said asking not to be named as they are not authorized to speak to the media. Of this, the refining-to-retail conglomerate already has shareholder approval to raise as much as Rs. 20000 crore through non-convertible debentures. Reliance’s total debt has tripled in the past five years as it borrowed to fuel more than Rs. 3.3 trillion of spending on a new telecom venture and its traditional petrochemicals business. Ambani will invest this year to roll out fiber-based broadband services and on acquisitions, including the purchase of telecom assets from brother Anil’s Reliance Communications Ltd. The company has total borrowings of about Rs 2.2 trillion, more than half of which is due to be repaid by 2022, according to data compiled by Bloomberg. Reliance has agreed to pay about Rs. 17300 crore to purchase spectrum, mobile-phone towers and fiber assets from Reliance Communications and another Rs. 5000 crore for textile-maker Alok Industries, which it won in an auction under India’s bankruptcy rules. There are investments planned for the fiber-based broadband services, JioGigaFiber, that will launch across 1,100 cities in August under the umbrella of telecom unit Reliance Jio Infocomm Ltd., the people said. In addition, the conglomerate will spend on acquiring apparel brands and opening new retail outlets, one of the people said. A spokesman for Reliance didn’t respond to an email seeking comment. Reliance’s better-than-sovereign rating has helped it raise cheaper debt while actively investing cash reserves that reached Rs. 78100 crore last financial year. Other income accounted for about a fifth of its profit before tax in the 12 months to 31 March – much of it earned by investing the cash. The company has a BBB+ credit score from S&P Global Ratings, two levels higher than the Indian government. Reliance returned to the local-currency bond market after a more-than-seven-year absence last year, raising Rs. 20000 crore via six offerings between August and November. 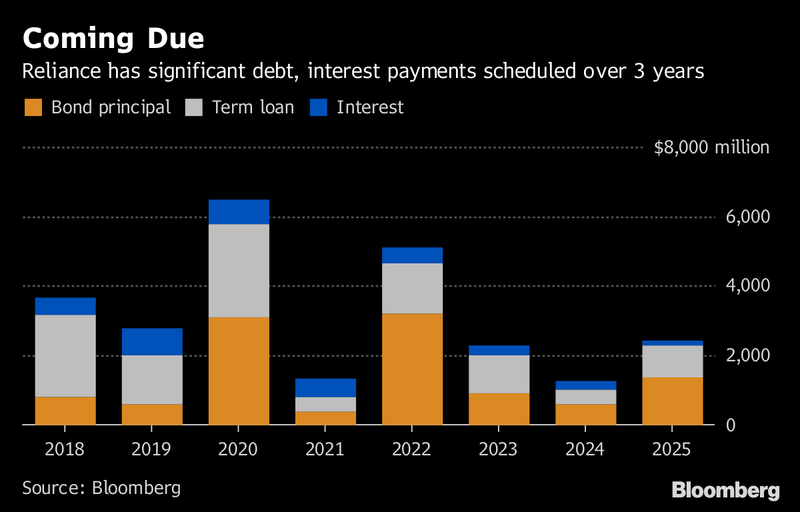 The conglomerate priced some notes maturing in three years or slightly more in the range of 6.78 per cent to 7.07 per cent – lower than the 7.15 per cent average yield on top-rated three-year corporate bonds during the same period. Unit Reliance Jio on Tuesday sought bids to raise Rs. 1500 crore via three-year notes after tapping the rupee bond market four times already this year.- Bloomberg.